Taster Days I South Devon College - REGISTER HERE! The Chartered Manager Degree Apprenticeship (CMDA) is for professional managers who take lead responsibility for people, projects, operations and/or services to deliver long-term organisational success. It’s relevant to managers from all sectors, private, public or third sector, and all sizes of organisations. The CMDA is beneficial for those at the start of their career wishing to become professional managers and achieve Chartered Manager status, or those who have already developed practical experience but wish to develop their theoretical understanding of management skills further. On completion of the apprenticeship will achieve a BA (Hons) in Leadership and Management, and become a Chartered Manager. Students will need to demonstrate and evidence where they have taken responsibility to deliver long-term organisational success. 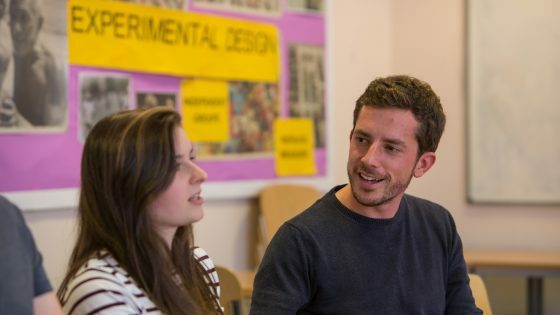 For experienced managers, this degree apprenticeship offers a ‘Fast Track’ route by accrediting prior experiential learning (APEL) against the level 4 and 5 modules of the BA (hons) in Leadership and Management. This means that your studies build and develop from your existing knowledge and skills allowing you to start at level 6 and complete in 2 years of part time study. If you think this could be for your or your employees we have a FREE taster session to give you an idea of what is involved and the impact for you and your organisation.